The Department of Urdu was established in 1916 with the Department of Persian and Arabic by Pt. Mahamna Madan Mohan Malviyaji. Mirza Mohammad Hasan "Faez" Banarsi was appointed as first Head of the Department of Persian, Urdu and Arabic by Malviyaji. "Faez" Banarsi was a great poet of the age and famous Hindi poet Bhartendu Harishchandra was also a pupil of "Faez" Banarsi for his Urdu poetries as Bhartendu Harishchandra started his poetical life from Urdu poetries with a pen-name "Rasa". After some times, Malviyaji invited Molvi Mahesh Prasad to take the charge of the Department and Molvi saheb resigned from the Lahore Arabic College on the call of Malviyaji and joined the Department. Molvi Mahesh Prasad was a renound scholar of Arabic, Urdu and Persian and he was the first editor and commentator of "Khatoot-e-Ghalib" written in Urdu. Professor Syed. Badrul Hasan Abidi, joined the Dept. after expiry of Molvi Mahesh Prasad and then Professor Hukum Chand Naiyyar. Other than these learned personalities, Professor Amrit Lal "Ishrat", Maulana Syed. Sulaiman Abbas Rizvi and Professor Syed. Haneef Ahmad Naqvi joined the Department. Urdu department started working as a separate department since 1973 and Prof. H.C.Naiyar was the first Head of the Department. 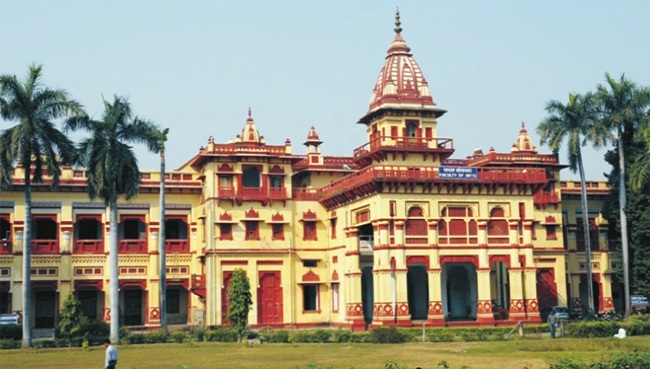 Urdu is one of the most prolific and creative languages of India and the Department of Urdu, BHU has always been active for the development and progress of Urdu as a language and literature. Urdu is the torchbearer of composite culture and civilization of India. The mission and objective of Urdu department is to create an environment of better teaching and learning process involving faculty member and students through monthly departmental seminar and discussion besides classroom teaching. Department of Urdu provides an opportunity for those who want to learn Urdu through I year & II year Diploma courses in Urdu besides B. A., M.A,.& Ph.D in Urdu. During last five years, at least 8 Ph.D degrees were awarded to the research scholars. The Department has organized 4 national levels seminar and 5 national Mushairas on the eve of the Independence Day and also organized 22 lectures at the department level. 32 Research papers were published in leading journals and paper presented in national seminars.